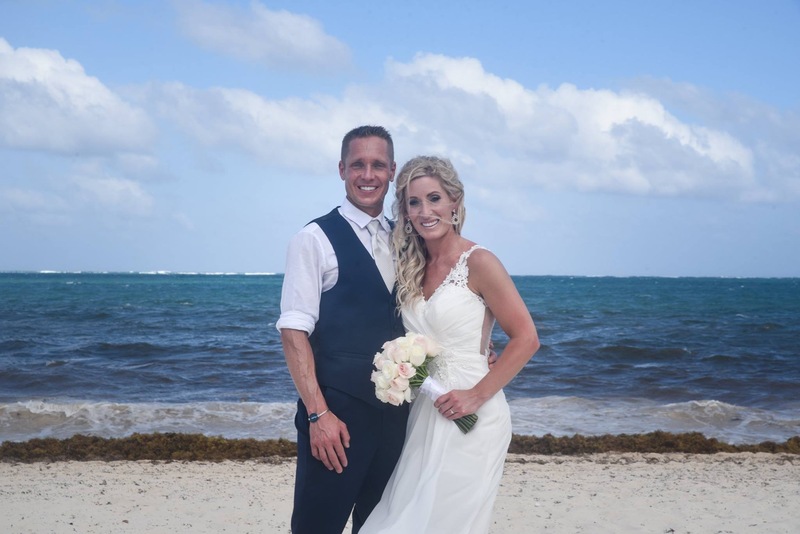 As their guestlist grew Alicia chose the Royalton resorts because she liked what all you got with their wedding packages. They were accommodating to her group size. With Destify, and her agent Brandi, the selected the Royalton Riviera Cancun , in Mexico. The wedding process turned out to be super easy, and the process of choosing decor and inclusions with the wedding department was simple. This turned out to be an extra blessing as Alicia was starting her own business and it didn’t leave a lot of free time for planning. Once on site, the couple loved their resort. Many of their guests were originally apprehensive about attending, they had never been to an all-inclusive, and they proved to be pleasantly surprised by the experience. The couple took full advantage of the resort, hosting a rehearsal dinner before the wedding. The couple agreed that going for 5 days wasn’t enough. There was a bit more planning involved then Alicia had anticipated and they recommend going for at least 7 days so you have more time to yourselves, and to enjoy your destination. Plan to stay longer than you think, to relax!